Many factors are uncertain when it comes to trying to predict the outcome of the general election. But, going by the polls, one thing that looks probable is that Westminster will get its first Bangladeshi MP. In the east London constituency of Bethnal Green and Bow, all of the main parties have put forward Bangladeshi-Muslim candidates. The five parties that received the most votes in the constituency in the 2005 election have all nominated Bangladeshi-Muslim candidates. That means, barring a shock result, the largest Bangladeshi population in the UK could soon have a voice in parliament. But who that candidate will be is far less predictable, with Labour and the Respect Party the frontrunners in a closely fought race. In 2005, George Galloway became the first Respect MP, defeating Labour by just 823 votes to gain the seat. The constituency lies within the borough of Tower Hamlets, where more than 30% of the population is Bangladeshi. However, the seat is also one of the most ethnically diverse in England, and has strong Jewish, Huguenot, Irish and Somali communities. And the candidates are determined to show they appeal to the wider community, rather than just Bangladeshi constituents. 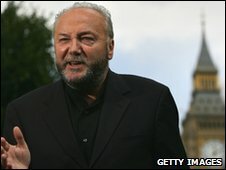 Mr Galloway announced in 2005 that he would not stand for a second term in the constituency, and in 2007 the party selected Abjol Miah as their candidate. "Abjol is standing on a very clear set of policies that differ very markedly from the other candidates in the race," said a Respect spokesman. "Whether we're Bangladeshi, Somali or white or from any other background we need decent schools for our children, decent housing, decent public services," he added. "He's standing on that basis and not relying on any one community." George Galloway, agrees that people will vote on candidates' policies rather than their ethnic background. "People don't vote for people because of their colour. People vote for other people's record and what they stand for," he said. Meanwhile, Labour candidate Rushanara Ali admits there is a "chance of the Bangladeshi vote being split" but she says she appeals to the diverse communities in the constituency. "I see myself as a British Bangladeshi of Muslim faith but also as an Eastender," she said. "I'm about bringing disparate communities together and trying to unite people in a community that has been divided." But she questioned whether the other parties were serious about having Bangladeshis MPs. "If parties are serious about having Bangladeshis in parliament then the Lib Dems and Conservatives would field Bangladeshis in target seats. That's not what's happened," she says. Liberal Democrat candidate Ajmal Masroor says a Bangladeshi MP would "add to the ethnic diversity of our parliament and the celebration of our country's diverse culture". "The fact we are Bangladeshi is neither here nor there. It's good to see the Bangladeshi community taking more of a part in the political process," he adds. "All of us have been selected by our party because we are the best candidate that has come through our internal processes." He says he stands out from other candidates because of Lib Dem policies of "cutting income tax for the poor, scrapping tuition fees, building more schools and creating a fairer Britain". Meanwhile, Conservative candidate Zakir Khan says his party stands out from others because they "want to control immigration". "We believe that the British people come first and unless we control immigration we will not recover from the recession," he says. 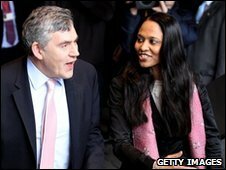 He agrees having so many Bangladeshi candidates "is likely to split the Bangladeshi vote because of who we are and where we're from". But he says it will not be a "deciding factor". • Candidates for Bethnal Green and Bow are: Labour: Rushanara Ali; Green: Farid Bakht; Independent: Patrick Brooks; Independent: Haji Choudhury; United Voice: Hasib Hikmat; Conservative: Zakir Khan; Independent: Ahmed Malik; British National Party: Jeffrey Marshall; Liberal Democrat: Ajmal Masroor; Respect-Unity Coalition: Abjol Miah; Pirate Party UK: Alexander van Terheyden.